Here’s your list for the week! Enjoy! Cookies and Brownies, Inc, St. Louis, MO (http://www.cookieandbrownie.com/) Cookie and Brownie, Inc. cooks at the St Patrick’s Center and they are a very young company. Our first order is not labeled with ingredients, but they have labels coming soon. Their packaging should look more professional very soon. For ingredients, they try to limit everything they make to 8 ingredients or less with no artificial ingredients and they will work with us to include seasonal ingredients when available. The weather now is perfect for pot pie. It’s hearty, you’ll have leftovers, and you can put any variety of vegetables you want. 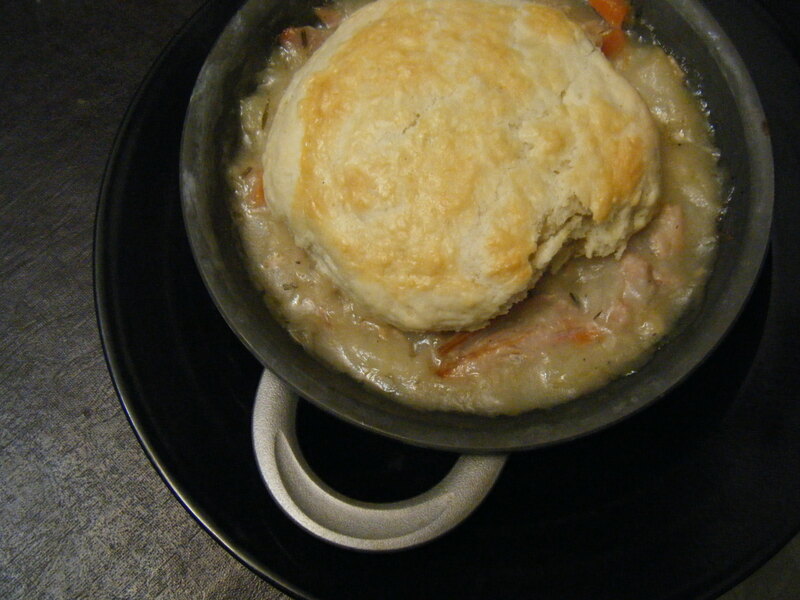 Last night I used this recipe http://allrecipes.com//Recipe/veggie-pot-pie/Detail.aspx and made a fantastic meal. I used 3 TBLS of cornstarch instead of 2 to make it thicker, and I used some whole wheat flour in my pie crust. Veggies I used: frozen peas (we have Stahlbush Organic peas at the store), Organic Carrots (from store), Organic Celery (you received some last week), 1 Organic Onion (in your box today), 4 small organic red potatoes (at store) and 1 head of Cauliflower (some at the store). Would be great with shiitakes and turnips. Stir fry with mushrooms, turnips and turnip greens, onions and pea shoots served on rice. And, in case you have a glut of coffee beans, thought I might throw out an idea for using coffee for cooking/baking. Here’s one idea I found on-line,but there are millions (okay hundreds) more. Use this coffee barbecue sauce as a marinade or finishing sauce for grilled or baked pork, beef, or chicken. The sauce may be covered and refrigerated up to 2 weeks. Put espresso or coffee, ketchup, vinegar, brown sugar, onion, garlic, chile peppers, dry mustard, Worcestershire sauce, cumin, and chili powder in a small pot, stir them together, and bring to a simmer over medium-high heat. Lower the heat so the mixture is just simmering and let simmer for 20 minutes. Remove the pot from the heat, let the mixture cool, then puree it in a blender or food processor fitted with the steel blade. The barbecue sauce can be covered and refrigerated for up to 2 weeks. Ham and eggs anyone? This could be the week for quiche, omelets, and ham sandwiches. 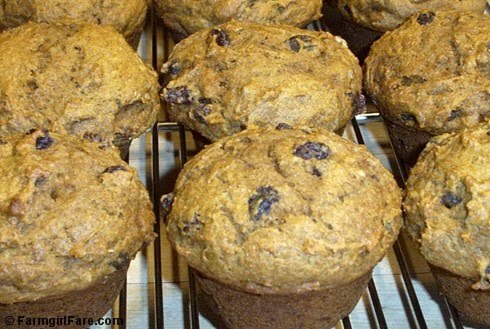 How about pumpkin/pecan muffins.A warm, hearty muffin is so good this time of year. Enjoy with a hot cup of coffee or your favorite tea. Slather is butter from “Our Garden”. 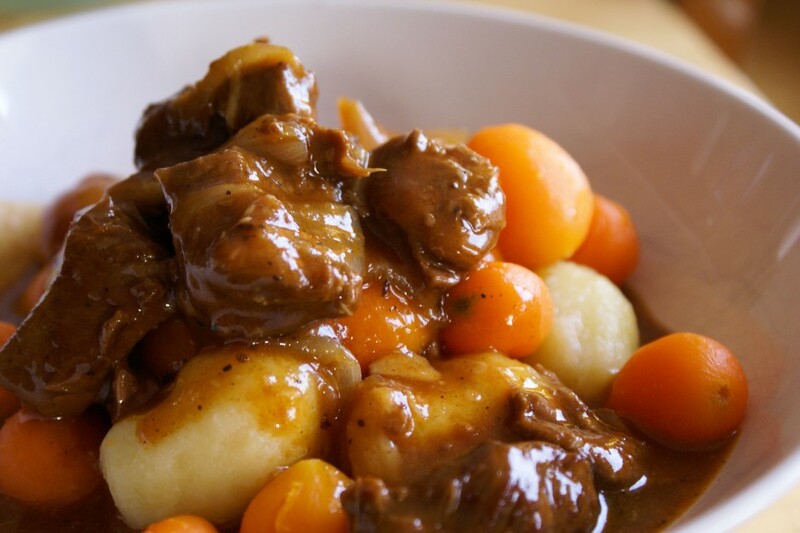 I found this recipe on a very interesting blog http://www.farmgirlfare.com/2011_01_01_archive.html. If you aren’t vegan, I would recommend using butter instead of margarine/earth balance. Heat oven to 350°. Place raisins and orange juice in a small bowl and microwave for 2 minutes; set aside. Grease muffin tins. Combine flour, whole wheat flour, baking soda, baking powder, salt, cinnamon, nutmeg, and cloves in a large bowl and set aside. Combine margarine, brown sugar, honey, and eggs in a large bowl and mix well. Stir in pumpkin. Gently fold in dry ingredients, alternating with the raisin/juice mixture. Stir in the pecans. Generously fill muffin tins. Bake until a toothpick inserted in the center comes out clean, about 25 to 30 minutes. (Bake baby muffins about 15 minutes.) Cool muffins in tins for 15 minutes, then remove from tins and serve warm, or let cool on wire racks. Store in an airtight container for up to three days or freeze. *Lower fat version: Simply omit 1/2 cup (1 stick) of the margarine or butter. Hello everyone, this is the list for the Weekly Harvest food subscription for January 9, 2011. Enjoy. Local Harvest Cafe, St. Louis, MO1 pkg pickled okra If I remember correctly, the okra came from a farm near Columbia, MO. Clara, the main chef at our cafe, is a master pickler! Hope you enjoy this as much as I do. 1 lb ground beef Carlios has recently started keeping some of his cows on a strictly grass diet. Yea. We are excited to support these efforts. Carlios Hinkebein raises hogs and cows all on pasture and is dedicated to raising animals on land–not in confinement. 1 pkg chorizo crumbles These are Molly’s creation. Molly is a vegan and one of our cooks at the cafe. She is always concocting yummy vegetarian and vegan dishes! These are great in all sorts of dishes–omelets, as a chili topping, tossed in with a vegetable stir fry, in beans, or as a taco ingredient. Heartland Legacy 1/2 lb Heartland Creamery used to be our main milk provider, but now they are focusing only on their cheeses! Legacy is a soft cheese with a gouda-like texture! Hope you enjoy as much as we do. 1 lb flour The folks at Dry Dock distributed this flour to us. I am still learning all the farms they work with, but rest assured that this is a high quality flour made from wheat grown without the use of pesticides. Mark of Dry Dock Farms suggests that you keep this flour refrigerated until you use it to maintain nutritional value. 2 lbs popcorn This cold weather is great for popping some popcorn and relaxing with a good book or movie. Popcorn is easy to make on the stove and only requires a small amount of oil and a heavy saucepan. 1 lb of Goshen Coffee for those of you who signed up as coffee only people! 2 oz Guayusa Kateri, owner of Traveling Tea tells me that Guayusa is “an amazon cousin to yerba mate, that is much smoother tasting, has health benefits of a green tea and has more caffeine than a black tea (or yerba mate)” It sounded too interesting to pass up. Let me know how you like it! One quick idea I want to share this week. A few weeks ago, we had a bag of sunflower shoots at the store that was on its last legs. Feeling sad for the little guys (and because I love them) I took them home for dinner and made one my “Jazz Cooking Meals” which means I use whatever I have at home–which oddly for a grocer wasn’t much that night. I sautéed some tempeh and onion with a little bit of tamari and garlic and then set aside. Next I sautéed lightly the sunflower shoots and about three carrots I had prepared using my vegetable peeler—I wanted long , thin strips of carrot. I cooked these until they were barely wilted and then tossed with a bunch or grated ginger, a little tamari and some chopped cashews. I served it on rice, and topped it off with the tempeh. The sunflower shoots have a nutty flavor which adds a wonderful and distinct flavor to any stir fry, salad or sandwich. Hint for Butternut squash: Peel the squash using a medium-sized paring knife, then chop into large chunks (obviously be sure to remove the seeds first). While you are prepping the squash, pre-heat your oven to 375. Toss the squash with some olive oil and salt and then bake for 30-40 minutes. The roasted squash is so sweet. Eat as is, or puree with stock or cream for an easy soup. If you have a lot of sweet potatoes, you can roast those with the squash as well. Both are great in soup, as a side dish or consider using them as a main ingredient for a burrito or quesadilla. The Local Harvest Dish · Know Your Food.